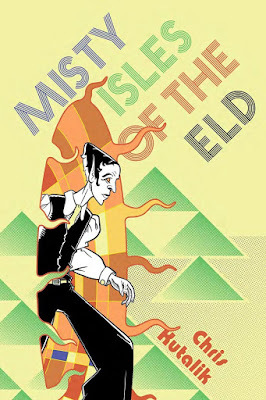 The Misty Isles of the Eld From Hydra Cooperative is a hundred and four page acid trip of a setting if Frank Baum and William Burroughs had gotten together to create a setting over a weekend of drink and drugs. Is it good though and playable? In a word, yes it is because its both engaging and original in its approach to itself. This is the kind of a setting that you want to drop PC's into if they have yen for something weird and more then slightly dangerous. I got a chance to take a quick read through a physical copy last night before my game and it's a really unique and more then slightly disturbing setting. The setting does live up to its press too:"Come visit the acid fantasy mini-sandbox of the Misty Isles, a hellish pocket plane that's brutally displaced a bucolic paradise. Marvel at its massive grub-ridges, shake at the body horror of its protein vats—and watch as your players dynamically unleash the Anti-Chaos Index through their own in-game actions. Misty Isles of the Eld is a stand-alone sequel to Slumbering Ursine Dunes and Fever-Dreaming Marlinko." I'm happy to report that its a packed tool kit of adventure weirdness and the kind of a setting that has lots and lots of useful tools and OSR adventure locations to drop your players and characters into. The flying god-prison Monument Five has a ton of potential for several OSR campaigns worth of adventure and I could see using this with Labyrinth Lord or even Lamentations of the Flame Princess. The meth-fruit Plantation House is an adventure location that reeks of Conrad's Heart of Darkness meets Narcosa with lots of helpings of Hellboy thrown into the mix. Colonel Zogg's Pagoda Bunker is a location that I want to throw into Mutant Future as a side adventure on another plane. There is a freaking ton of other worldly beasties and monsters that beg to be used for other adventures. Lots and lots of technological Eldish artifacts and treasure its really worth it to pick this book up for those alone but this chapter includes a random generator for miscellaneous artifacts picked up and adventure fodder. The Psychonaut is a well done and actually useful class for any OSR game with lots and lots of weirdness and themes to it. I can't begin to explain how damn useful the class is for generating adventure fodder on its own. Basically this is a setting book that is greater then the sum of its parts with lots and lots of good OSR material pumping through its otherworldly twisted 19th century alternative fairy tale like modern setting. Misty Isles of the Eld is like something a drug idled historian of the 1900's would write if locked inside a library with nothing but mythology & early science fiction to pull from. I say this in the best possible way because its got lots going for it. This is one of those books your going to want to pull out and run if A.You got off beat players who like a setting with lots of stuff to explore and get in trouble with and B. Are fans of this sort of material of off beat high weirdness in the best Little Nemo in Dreamland style weirdness. Because of the unique nature of the other worldly nature wilderness crawl spreads itself across the setting and enables a Dungeon Master to pick and choose where as well as when they want their party of adventurers to deal with the various Misty Isle elements. Because of the twisted fairy tale nature of bits and pieces of Eld, I think that this book is a good fit for a more modern occult Lamentations of the Flame Princess occult side quest. Another retroclone setting that might work well here as a side set piece is Zak's a Red and Pleasant Land with the Misty Isles and its environs. This setting could be worked in as a drop in setting piece for OD&D because of places like Arduin given the proto modern occult tech of the Eld's artifacts which are worth the price of admission. Misty Isles of the Eld could be used with either Labryth Lord or OSRIC with some adjustments but on the whole it has a rather unique feel. Mutant Future is another great side set piece to use with the Eld because this is a great setting book to use to pump some life into a campaign. The unique monsters, high weirdness, and Eld artifacts are perfect ways to induce your mutants to the horrors of the Misty Isles but some adjustment might need to be made. D&D gnomes might be horrified or fascinated by the tech and weirdness of the Eld; perhaps its time to organize an expedition to the setting. There are plenty of cross over potential including for a game such as Boot Hill, hear me out here. Given the almost weirdness of the Eld the technological levels are very similar, quick dimensional door and instant cross over. A variation of the Eld are featured in Dwimmermount are perhaps one of the ancient sources of the Eld of the Misty Isles. Maybe the Eld of the Misty Isles might have a clue or legend about that ancient megadungeon. 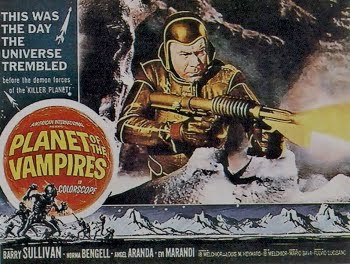 Once again plenty of crossover potential between products for the dungeon master to exploit. Misty Isles of the Eld has lots of potential to be used as an OSR setting in its own right and many of the various adventure Easter Eggs scattered throughout the book could be used to built a rather interesting and unique dungeon adventure location setting for the retroclone of the DM and players choice. Misty Isles of the Eld is a rather unique and certainly gaming changing campaign setting for any DM looking for a completely off beat and yet servicable world setting for their OSR game campaigns. 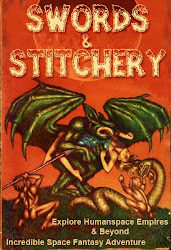 This book has all of the potential to bring a retroclone or D&D game to another level; the setting reminds me a lot of another Hydra Collective product Weird Adventures by Trey Causey has a ton in common with many of the elements of the Misty Isles of the Eld and I feel they have lots of potential to work well together.